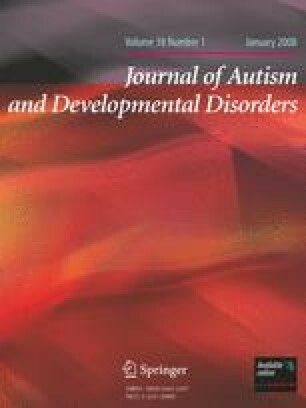 Prospective follow-up study of 70 males with Asperger syndrome (AS), and 70 males with autism more than 5 years after original diagnosis. Instruments used at follow-up included overall clinical assessment, the Diagnostic Interview for Social and Communication Disorders, Wechsler Intelligence Scales, Vineland Adaptive Behavior Scales, and Global Assessment of Functioning Scale. Specific outcome criteria were used. Outcome in AS was good in 27% of cases. However, 26% had a very restricted life, with no occupation/activity and no friends. Outcome in the autism group was significantly worse. Males with AS had worse outcomes than expected given normal to high IQ. However, outcome was considerably better than for the comparison group of individuals with autism. This study was supported by the Linnéa & Josef Carlsson Foundation, the Wilhelm and Martina Lundgren Foundation, the Söderström-Königska Foundation, the Swedish Autism Foundation, the Göteborg Medical Society, the Petter Silverskiöld Memorial Foundation, grants from the State under the ALF (LUA) agreement, and by a grant from the Swedish Scientific Council (MRC grant: 2003–4581) for professor Gillberg. Both studies were approved by the Medical Ethical Committee of Göteborg University. socially and emotionally inappropriate behaviour. impairment of comprehension, including misinterpretations of literal/implied meanings. poor performance on neuro-developmental examination. apparently inflexible adherence to specific, non-functional routines or rituals. The is no clinically significant general delay in language (e.g., single words used by age 2 years, communicative phrases used by age 3 years). There is no clinically significant delay in cognitive development or in the development of age-appropriate self-help skills, adaptive behaviour (other than in social interaction), and curiosity about the environment in childhood. Criteria are not met for another Pervasive Developmental Disorder or Schizophrenia.